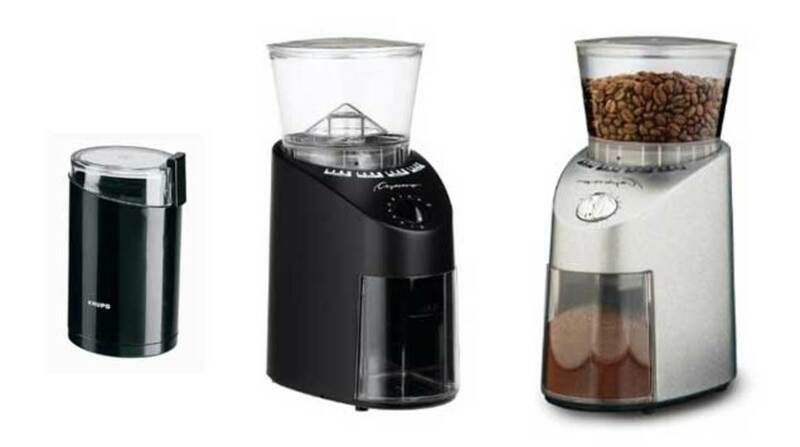 Do you need a blade, burr or conical burr grinder? 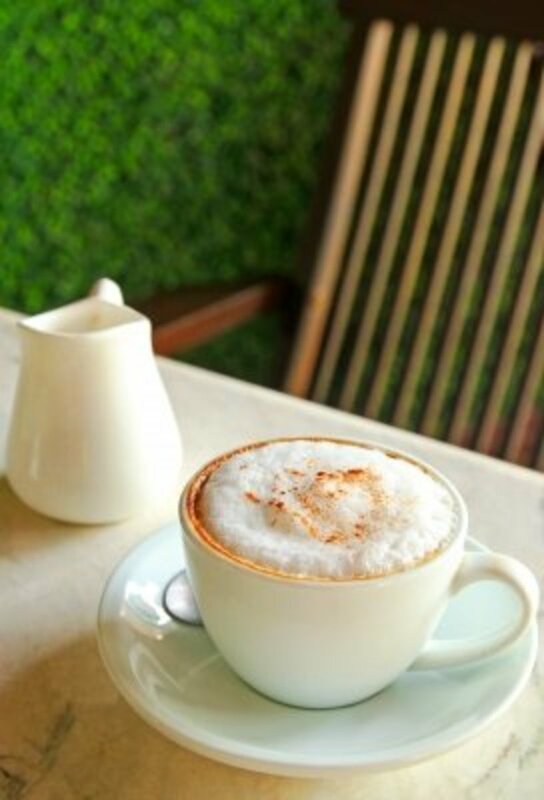 Making great, fresh coffee is all about getting the best combination of beans, grinder, and coffee maker. For most of us, there are also cost issues to think about. Do you really need to spend big on a grinder or coffee maker to get the results you are looking for? 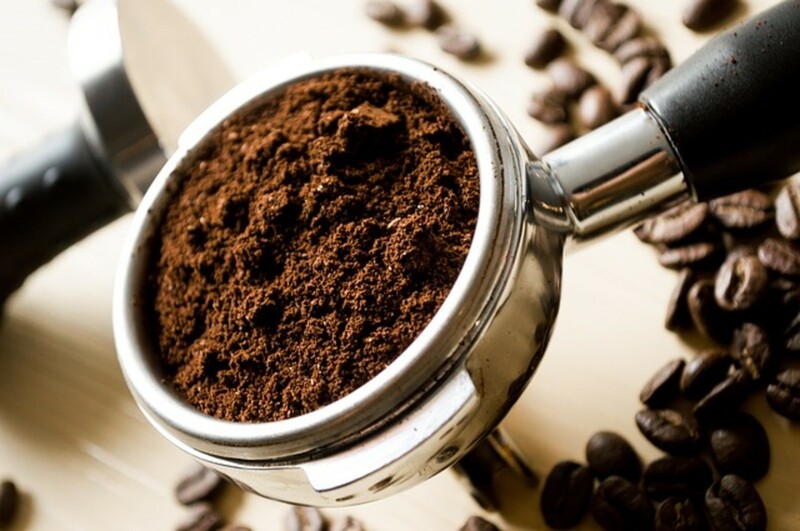 The more you understand how the various kinds of grinders work and the way that coffee makers extract flavor, the better you can decide what you need to make the beverage you most enjoy. Below is a beginner's guide to the various kinds of coffee-making techniques and the kind of grinder that will work best with each approach. 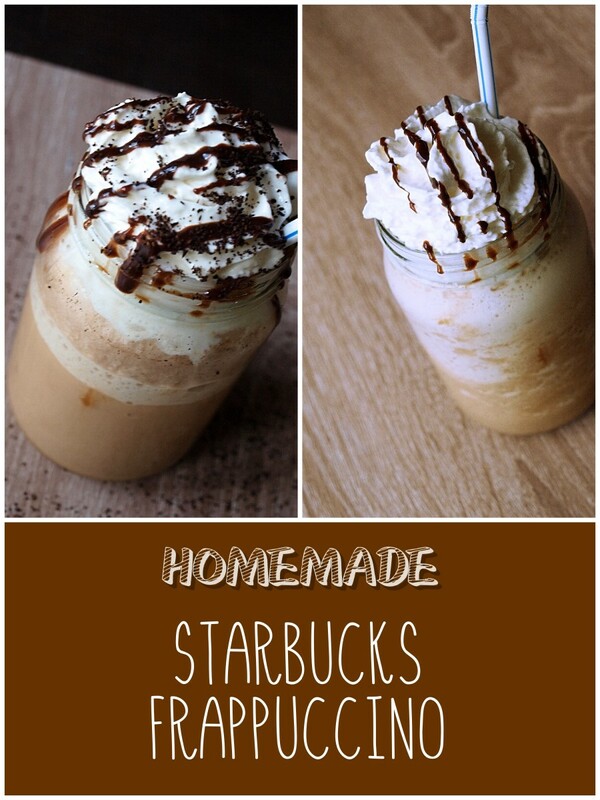 If you do not know how a coffeemaker works, you cannot choose the best grinder. Maybe skip this section if you a coffee engineering genius! 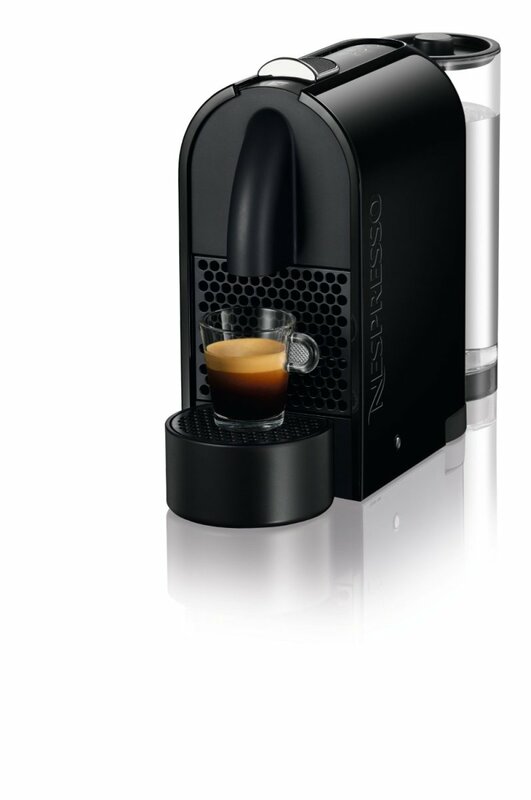 Espresso machines are designed to extract the maximum coffee flavor, fast. 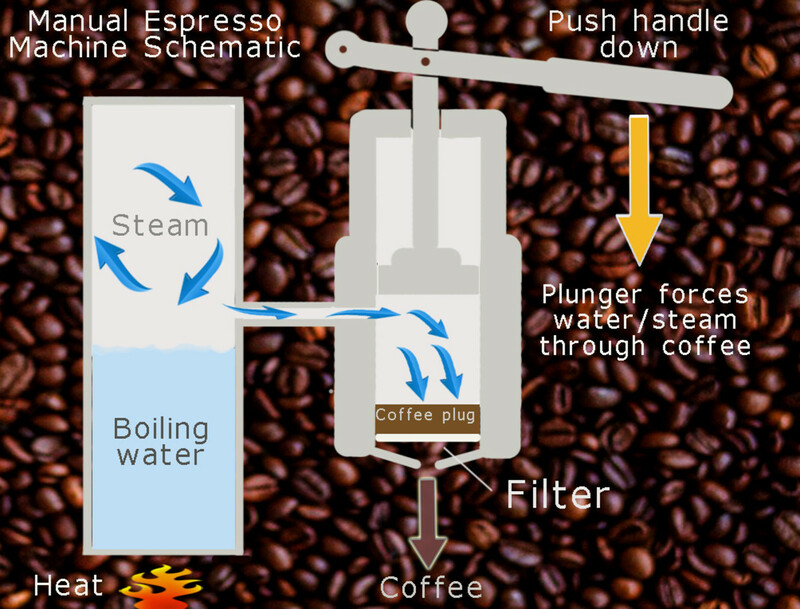 A machine forces boiling water and steam through very finely ground coffee at high pressure. This means a very fast brewing process. Some machines are operated manually by a lever, others use pumps. Espresso portafilter showing basal filter plate. 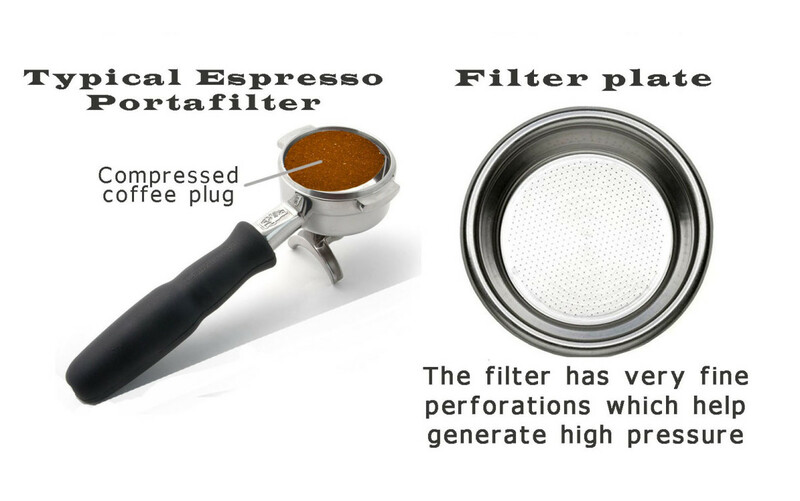 Filters on espresso machines are usually called portafilters because they are easy to remove from the machine. Once filled with coffee they are just as easy to replace. The filter is exceptionally fine so that the water is at high pressure as it is squeezed through the coffee. This extracts the maximum flavor quickly. Espresso is traditionally served in small cups and drunk straight down like a shot of whisky. 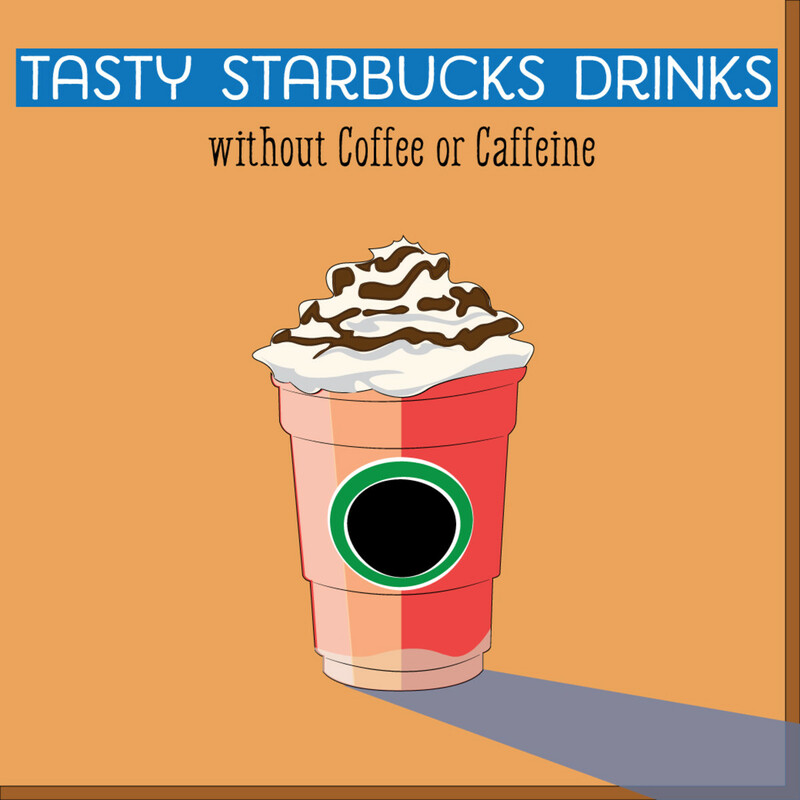 It is a fast hit of strong-tasting, concentrated caffeine to get you ready for the day (or a night out!). 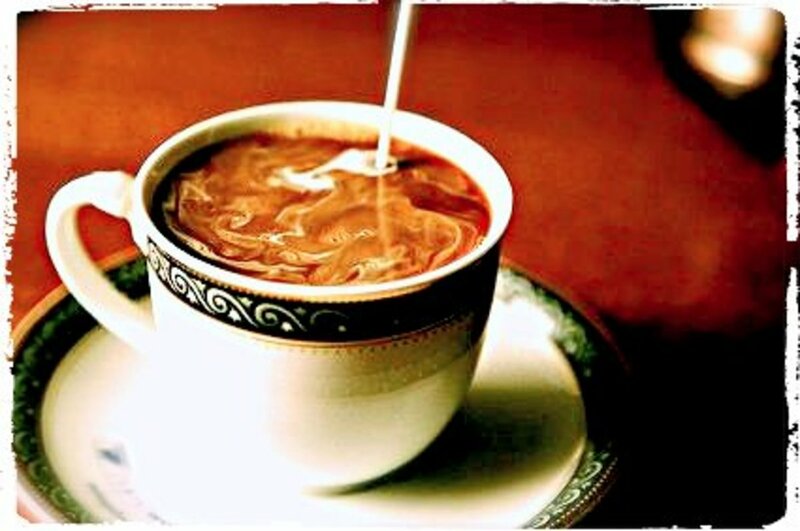 Mixed with milk and other flavors, like chocolate, espresso can be the basis of a beverage to linger over. 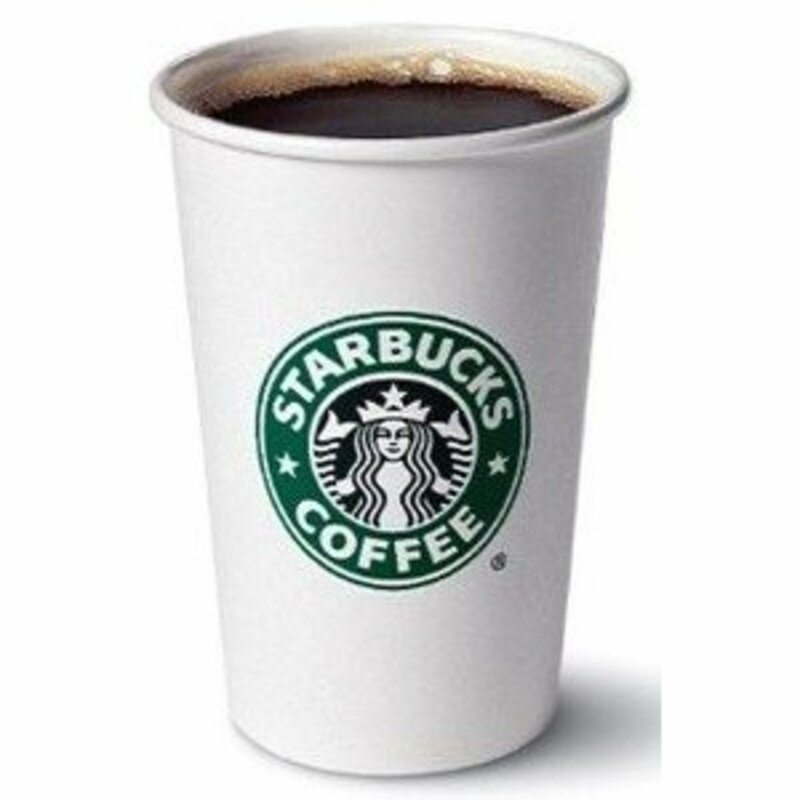 Starbucks favorites that use espresso coffee include Americano, latte, mocha and cappuccino. Coffee brewing with a French press is a gentle affair. You add ground coffee and hot water to the press pot, allow it to brew for three or four minutes, and then filter by pressing down on the plunger. Exploded view of a French press coffee filter. 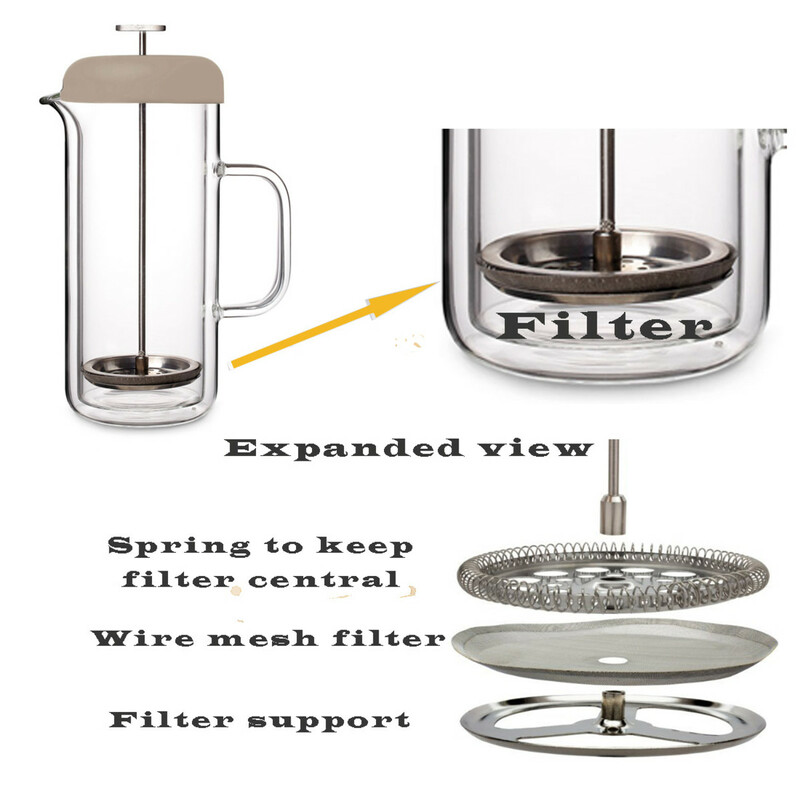 Because the stainless steel filter is coarse, it is essential to use evenly ground, medium-sized coffee particles. Fine grounds will pass through the filter making the coffee look muddy and taste bitter. French press filters are coarse so that brewed coffee filters fast without high pressures. 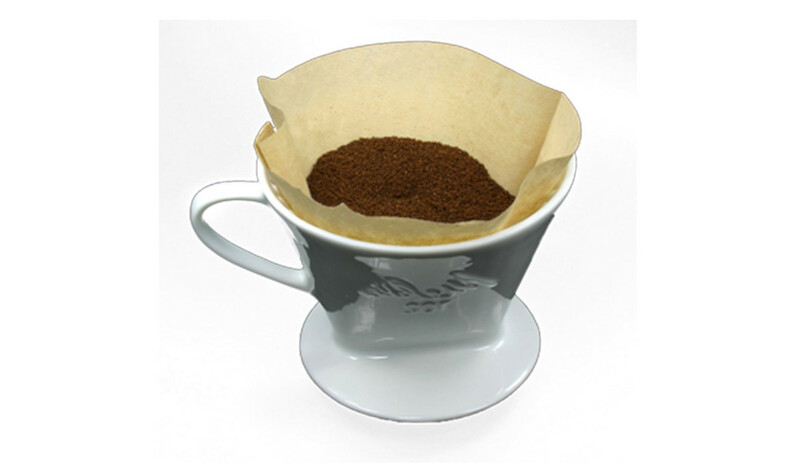 Drip coffee filters are so fine, it is possible to use ground coffee that is almost dust without the grinds contaminating your drink. But it will slow filtration. Drip makers are the slowest way to make coffee, but they can be left alone to get on with the job and they will keep your drink hot for as long as you want. Water is slowly dripped through the ground beans held in a fine (often conical) filter. The filter can be paper, plastic, or wire mesh. 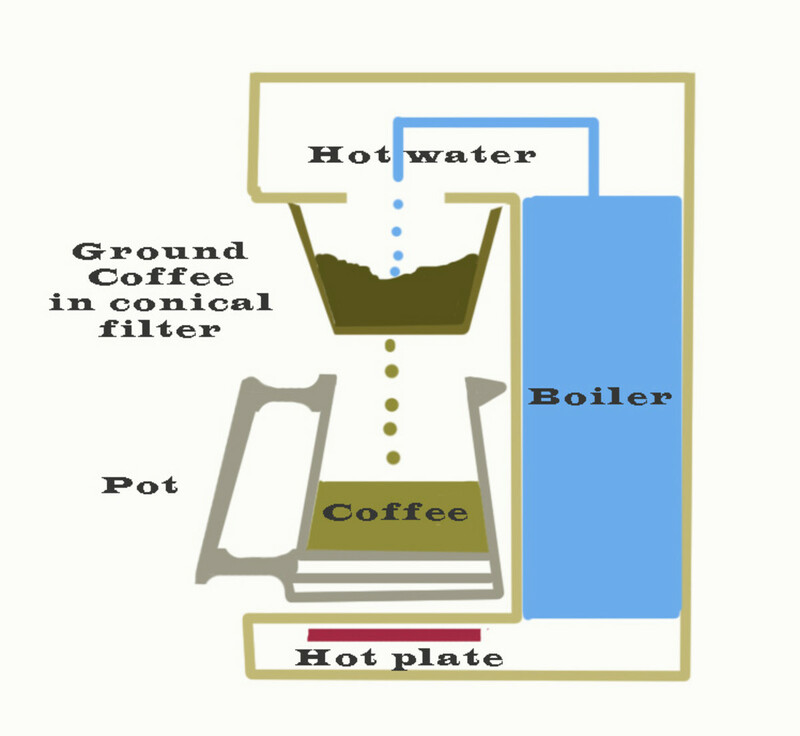 You can also brew coffee using a paper filter without a machine. You just need the patience to pour the water through the ground beans very slowly to extract the most flavor. Paper filter charged with ground beans, ready for entirely manual drip coffee-making. Best Way to Make Coffee? A fast spinning blade pulverizes the beans. Blade grinders are small and inexpensive. A blunt metal blade turns at high speed and literally smashes the coffee beans to pieces. The disadvantage is that the coffee grounds are of different sizes, ranging from a fine dust to large chunks. 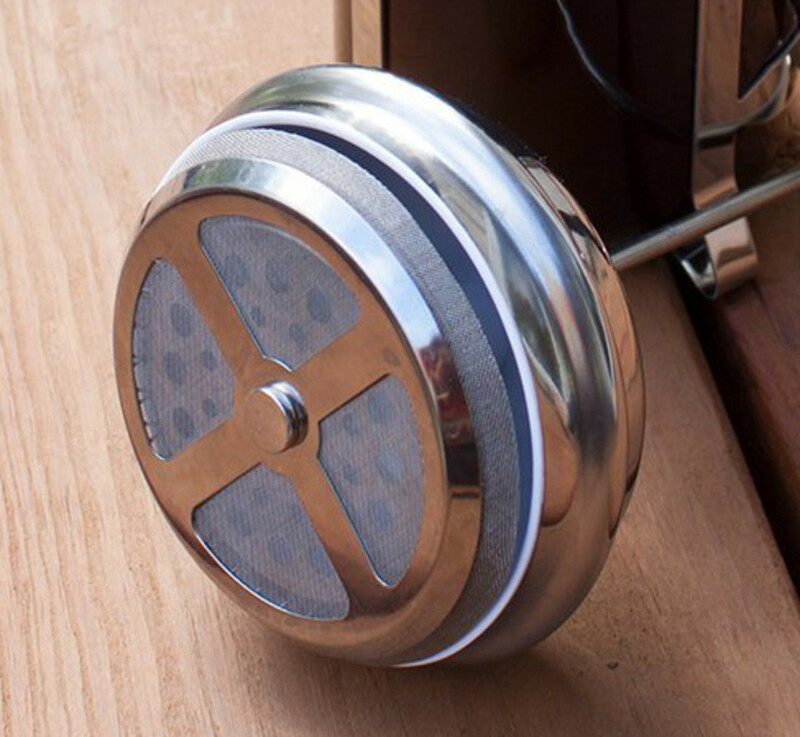 Blade grinders produce ground coffee with an unpredictable mix of large and small particles. This can give rise to problems during filtration. Overly fine particles can clog filters or pass right through, producing muddy coffee. Large grounds make flavor extraction slow or impossible. Another problem is that blade grinders can overheat the beans, giving your coffee a burnt taste when it is brewed. Some machines offer 'pulse' grinding so that the blades don't spin too fast for too long. I don't want to overstate the case against blade grinders here. If you are making drip coffee you can use a blade grinder successfully. A paper filter will prevent even the finest dust passing through and also help remove bitter oils. Practice with the grinder can ensure you don't burn the coffee before it is brewed. The kind of permanent plastic or metal mesh filters many drip coffee machines use can be more of a problem. These are a lot less fine and dust-sized grounds can ruin your drink. Blade grinders are a poor choice for espresso. If you are making espresso, you need as much flavor to be extracted as quickly as possible from your ground coffee. This means a fine grind. Too many 'boulders' left in the grind by an inefficient machine will work against the best efforts of your coffee maker. Grind fine with a blade grinder and you will get a burned taste. A blade grinder is never a good idea. Any dust-sized coffee grounds will pass through the metal filter and result in cloudy, foul-tasting coffee. Are Blade Grinders Best for Drip Coffee Makers? 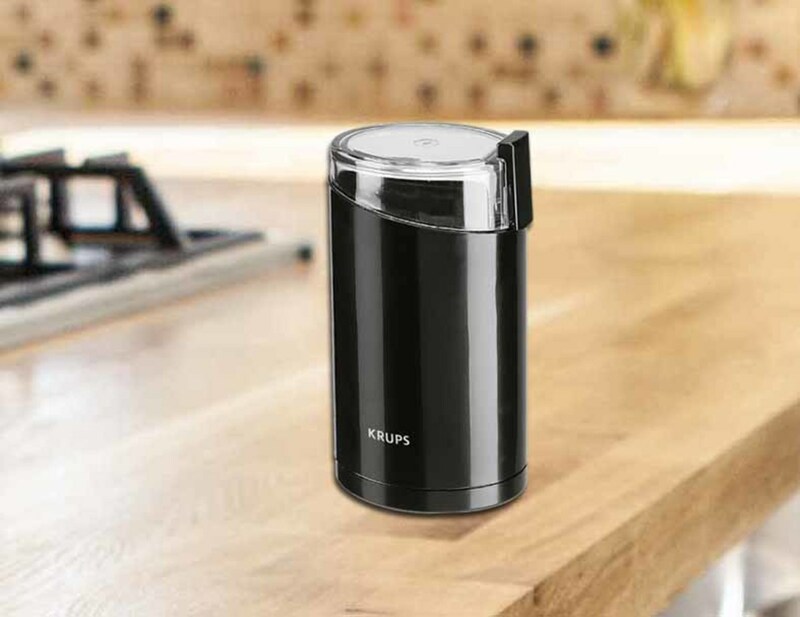 Simple blade grinders, like the reliable Krups machine, pictured below, are excellent value for money and a good choice for smaller kitchens. If you want to spend a little more, and do not mind a much bigger machine, burr grinders offer more versatility and control, especially useful if your machine does not use paper filters. Plastic filters are reusable but cannot filter out the finest grounds. Typical burr grinder and blade assembly. 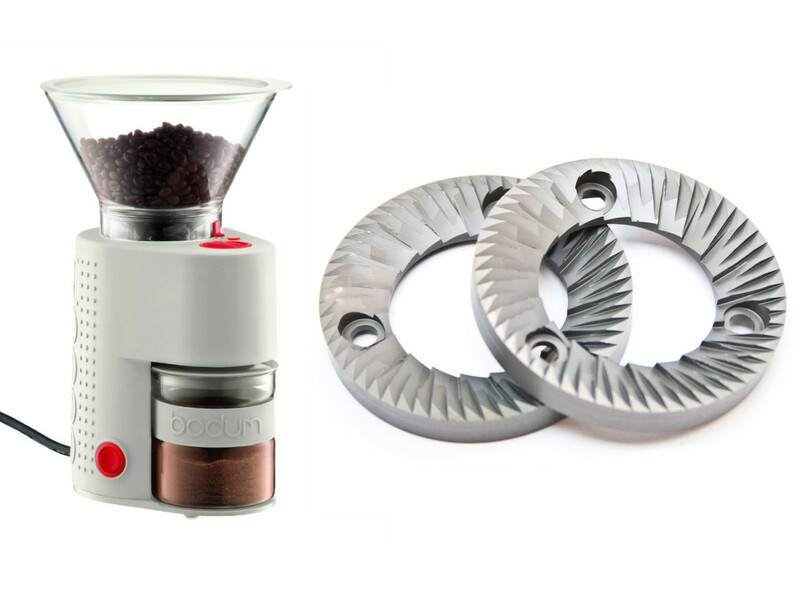 Burr grinders produce evenly-sized coffee particles. Uniform size makes brewing good coffee less of a shot in the dark. Burr grinders are a big step up from a blade grinder. Burr grinders get their name from the burred wheels that crush the beans and produce a consistent particle size. The beans are fed in through the top of the machine and ground like flour in a mill. The most serious drawback of burr grinders is that the blades spin at high speeds and can overheat the coffee. This is especially true with oily, gourmet coffees. Many machines have a timer that limits the grinding to thirty seconds, but this means you need to pay a lot of attention to the grinding process. You might need to experiment with a new machine to get the ground coffee that you want. These are big machines and take up more counter space than a blade grinder. 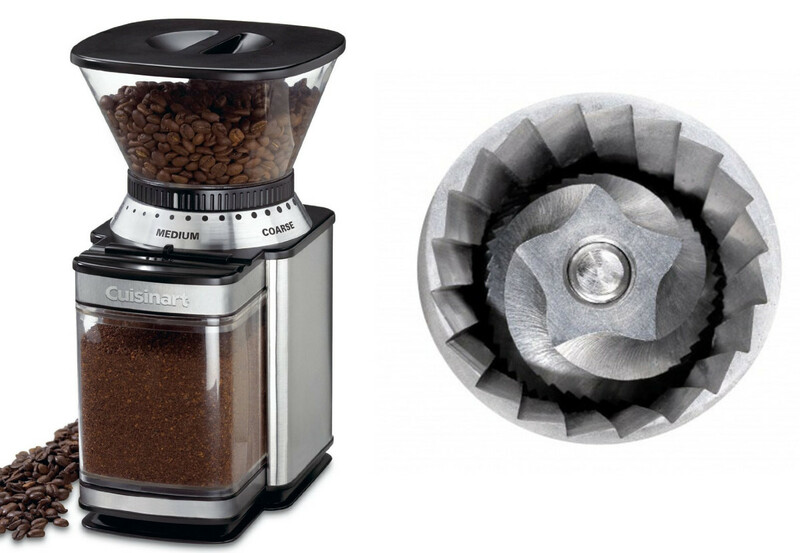 They can also be noisy compared to a conical burr grinder (discussed below). In an office or shared space, this can be important, but most families cope just fine with the occasional thirty second operation. Burr grinders are perfect for drip coffee makers, producing an even grind. Use medium grind in flat bottomed and gold or plastic permanent filters. A finer grind means a longer brewing time but produces more flavor when using a paper filter. Burr grinders work well with French Presses delivering reliable results. As mentioned above, fine particles will pass through the coarse mesh filter and ruin your coffee, an issue burr grinders help you avoid. The coarse filter of a French press demands a medium/coarse grind. The grounds should look and feel like coarse sand. Whenever I have bought a new machine, it is always requires a little trial and error to get the grind perfect. Any cloudiness in your drink means you are grinding too fine. 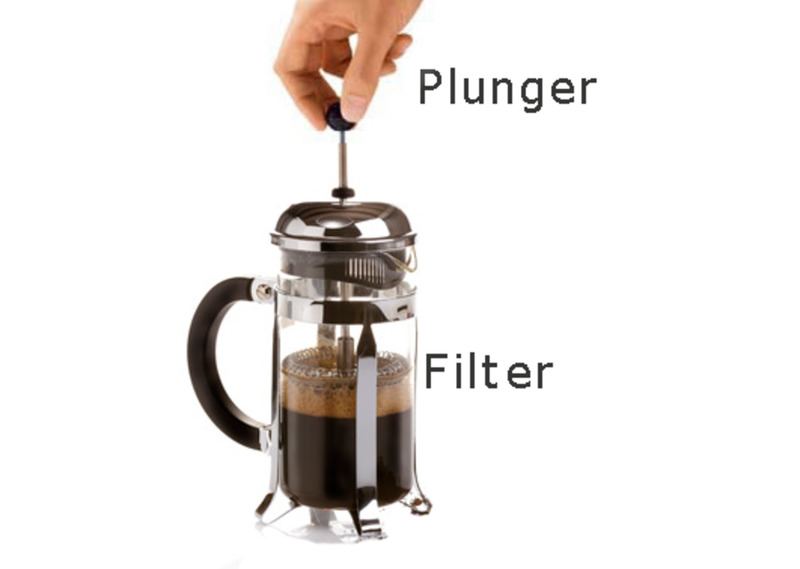 Weak coffee, or some that is too easy to filter as you depress the plunger, means that you have too coarse a grind. Most of the better beans for espresso coffee making are oily. These can clog a flat burr grinder and easily burn as you strive for a very fine grind. The conical burr grinders, described below, are a better choice. Are Flat Burr Grinders Best for a French Press? A quality burr grinder like the Capresso machine, below is a good, relatively inexpensive choice for use with French press coffee makers. The conical burr machines described below are an even better choice if you want a quieter machine that will never overheat your coffee. A robust, reliable, and well-priced, burr grinder, one of these machines has given me good service in my home for many years. Recommended. Conical burr grinder with blade mechanism. Conical burr grinders work at a slower speed than simple burr grinders. The surfaces grind the coffee without burning, to produce carefully graded coffee of even particle size. These machines are often (but not necessarily) the most expensive grinders. They are especially good at grinding oily, full flavored gourmet coffees without the grinder clogging. They are quiet which makes them attractive for use in offices, cafes, and restaurants. They can be trusted to grind unsupervised. Conical burr grinders allow you to produce even the finest grinds without burning which makes them a perfect choice for espresso. Only beans from a handful of coffee varieties are used to make the best espresso. These tend to be oily beans that absolutely need a conical burr grinder. If you use any other kind of machine, the mill will clog with a kind of oily sludge, leading to a lot of frustration. If you are making Turkish coffee, a conical burr grinder is the only mill that will produce the right consistency. Best grinder for the most popular brewing methods. After reading your excellent hub, all I can do now is to have an aromatic cup of my favorite coffee. 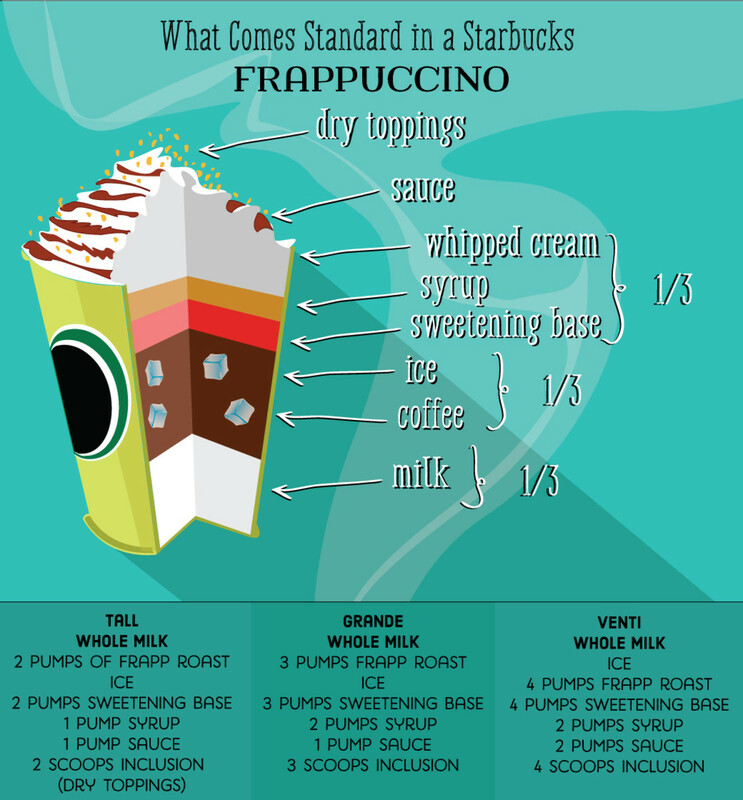 Great information - I did not know a lot of this stuff, and as a fanatical coffee lover I now have better insight. Thanks for sharing.